Busted pipes are a major threat that can result in flooded property when a building is occupied year-round. Just imagine the restoration and remediation work that may be necessary if you’re unaware that there’s an issue at all, as is the case with many small businesses, where owners often winter elsewhere during the off-season. Before we get into specific tips and procedures, let’s first go over some winterization basics. Even if you’re vacating the property for a while in the off-season, you’ll still want to keep the thermostat no lower than 55 degrees. 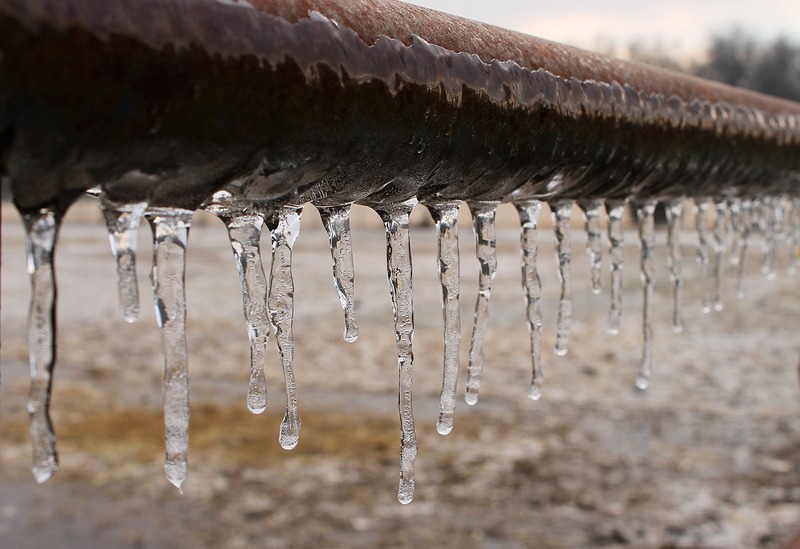 This helps keep the property warm enough to prevent pipes from freezing in heated areas of the business. If you’re leaving the property completely for the season, we’d recommend shutting off the water and draining all the pipes accordingly (don’t forget about administering non-toxic anti-freeze rated for plumbing systems either in toilets, down drains, etc.). If you do this, then you can shut off the thermostat until you return and save on heating costs. 1.Insulate pipes in at-risk areas. Does your business have a crawlspace or basement below it? Pipes in these areas have a tendency to get very cold, especially if they’re located near exterior walls. Head to the local hardware store and pick up some pipe sleeves or wrappings to better insulate them to better prevent freezing and bursting. Have a friend stop by periodically to check on your pipes and property. It isn’t as good as someone being on site all the time, but can allow for a much prompter response in the event that something goes wrong while you’re away. Your pipes aren’t the only thing you should prep. The roof can be a very problematic part of your business as well. Specifically, ice dams have the potential for causing water damage to your property if snow runoff isn’t able to drain properly. Prevent them from forming by making sure gutters and downspouts are clear. You may also want to consider investing in a snow removal service that can help remove excess snow from the edge of the roof to prevent ice dam formation. When your utilities are installed you want to choose a contractor who has experience with winter climates -- making them able to withstand the harsh winters your business endures. If you live in an area where freezing occurs, there are minimum depths a water or sewer line can be buried due to freezing. In areas such as Florida and southern states that do not freeze, these lines can be installed much shallower. Contact us for a free utility installation quote!